Good news, Sprint customers: you now get a free year of Amazon Prime! Maybe. If you activate a "qualifying" Samsung phone for a new line of service or a renewed line, Sprint will foot the bill for Amazon's premium shipping option for a year. The promotion starts today, and those qualifying phones are limited to the Samsung Galaxy S6, S6 Edge, S6 Edge+, and the Galaxy Note 5. So basically it's just for Samsung's 2015 flagship quadruplets - you can't just run out and buy an ancient Galaxy S II for ten bucks and get $100 worth of freebies. The offer runs through November 30th, and it's valid for Sprint customers who buy their phone outright, lease it, pay in installments, or use an old-fashioned two-year contract. As with all Amazon Prime subscriptions, it includes free two-day shipping on a huge variety of items, free same-day delivery in some urban areas, a selection of free streaming movies and TV shows on Amazon Video, exclusive playlists and radio stations on Amazon Music, and unlimited photo storage on Prime Photos. Buying Prime on its own currently costs $99... so the savings are unlikely to sway anyone who's satisfied with their current service. Still, if you were going to grab a Samsung phone on Sprint anyway, you might want to do it before the end of the month. 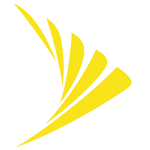 OVERLAND PARK, Kan. (BUSINESS WIRE), November 06, 2015 - Beginning Nov. 6, new and existing Sprint (NYSE:S) customers that activate qualifying Samsung devices on Sprint, receive a full year of Amazon Prime on us – that’s a $99 value, exclusively from Sprint. With Amazon Prime, customers can enjoy unlimited FREE Two-Day Shipping on more than 20 million items, unlimited streaming of tens of thousands of movies and TV episodes with Prime Video, access to ad-free streaming of over a million songs including thousands of curated playlists and personalized stations with Prime Music, unlimited photo storage with Prime Photos and much more this holiday season and the year after. This offer is available for existing Sprint customers who upgrade or add a new line of service and new customers switching to Sprint. Qualified Samsung smartphones include Samsung Galaxy S6, Samsung Galaxy S6 edge, Samsung Galaxy S6 edge+ and Samsung Note5. Customers can get their new Samsung smartphone through Sprint Lease, Sprint Easy Pay, sign a two-year contract or pay full retail price. Visit your local Sprint store, Sprint at RadioShack or call 1-800-Sprint1 to get your new Samsung device and year of Amazon Prime with activation. The offer is available until Nov. 30, 20151. Customers can activate their new Samsung device on a Sprint Family Share Pack plan. With Sprint Starter Unlimited Data, customers can choose a 1GB high-speed data for $20 per month, then get unlimited data at 2G speeds so you never have to worry about unexpected overages again3. Or, choose to buy additional high-speed data. Plus get unlimited talk and text for $20 more per month while on the Sprint network (excludes taxes and surcharges). Sprint Global Roaming also is included with the plan. Families switching to Sprint get four lines with unlimited talk, text and 40GB of high-speed data to share while on the Sprint network for $120 per month (excludes taxes and surcharges)4. Sprint will pay off every dime of your old phone or contract so you can switch via an American Express® Reward Card after online registration and phone turn-in5.